As I stood on the edge of a seven-or-so meter drop, preparing to jump into the deep section of a river that was spending the better part of its time cascading down the mountain, I had a moment’s thought – “hey, I’m actually still in Tokyo.” There wasn’t a house or even the thought of a combini anywhere, but the deep pool of (bracingly) cold water that I splashed into, and all of the wilderness around us was lying well within the limits of the Greater Tokyo Metropolitan Area. 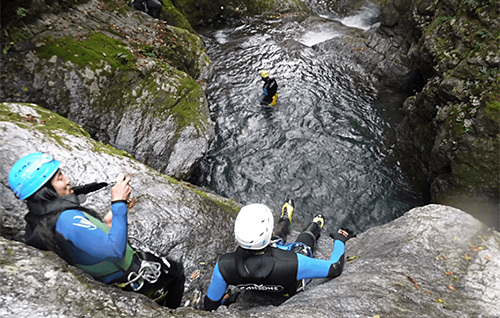 My high altitude baptism in the cold river waters was brought to me on behalf of Canyons Okutama, an adventure group that leads canyoning courses in the mountains and river gorges around the Tama area. 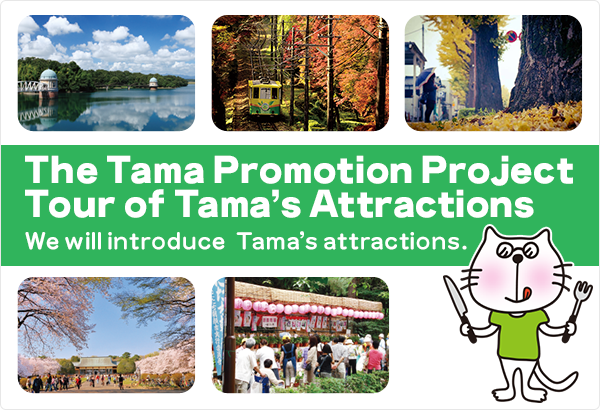 Stretching from the neighborhood of Kichijoji in the east to the mountains around Okutama to the west, it’s a place where you can be entirely alone on forest paths, explore centuries-old crafting traditions, and sample local craft beers – which is just what we were doing on a chilly Thursday at the beginning of autumn. 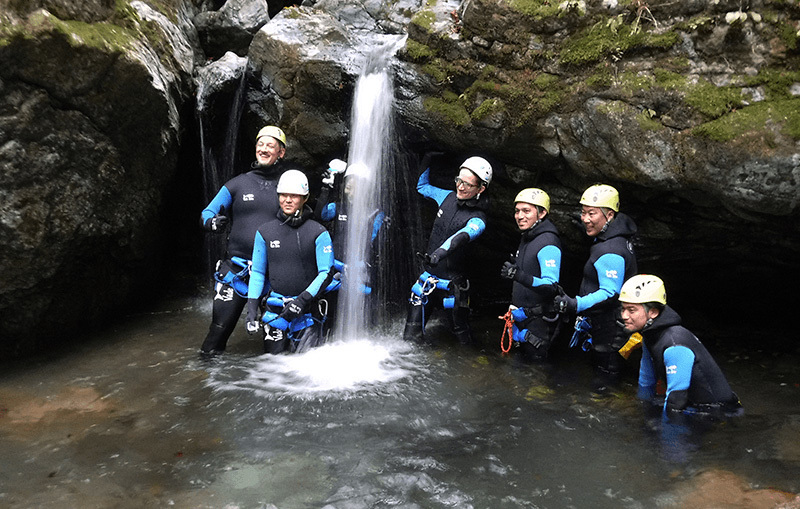 After the cold plunge, two experienced guides helped lead us down the course of the ravine, which gave us the chance to slide down waterfalls and slide down zip lines. 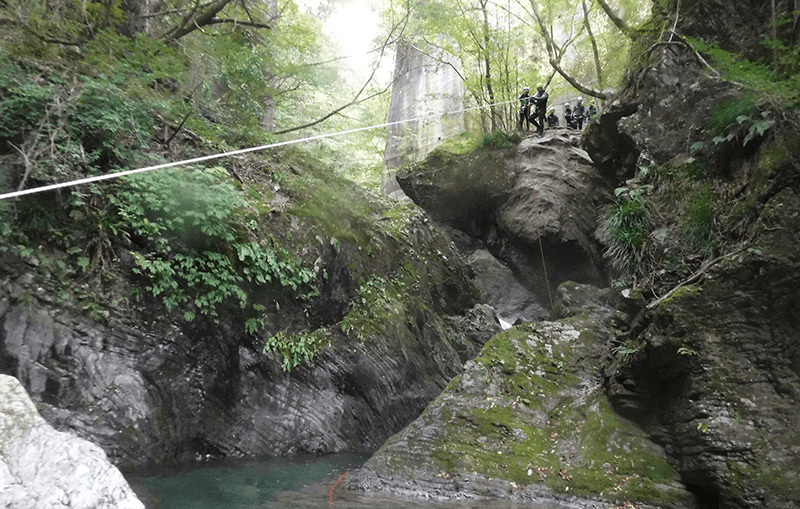 While there were definitely some moments of fear before a jump or a slide, the fact that we were well equipped for the environment – wetsuits, helmets, and sturdy waterproof boots – and were being led by two guides who have led hundreds of groups through the area put us at ease. 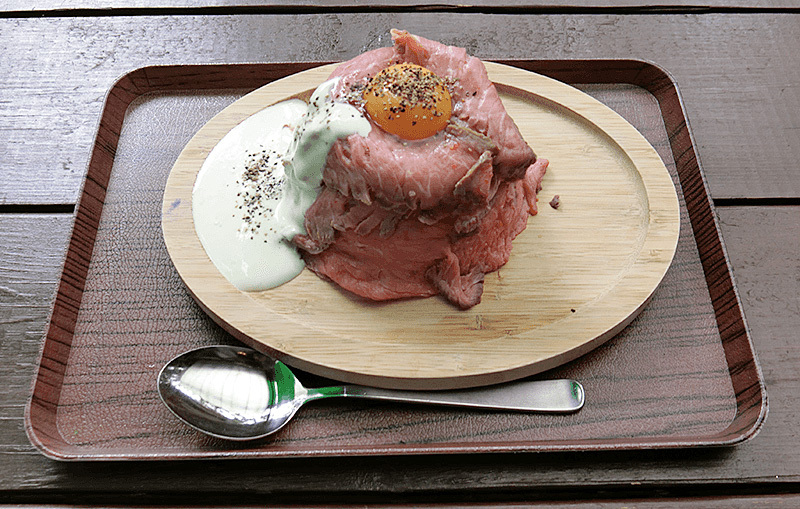 And personally, after a lunch of the Canyons Café’s aptly named Roast Beef Volcano, I felt ready to tackle just about anything. 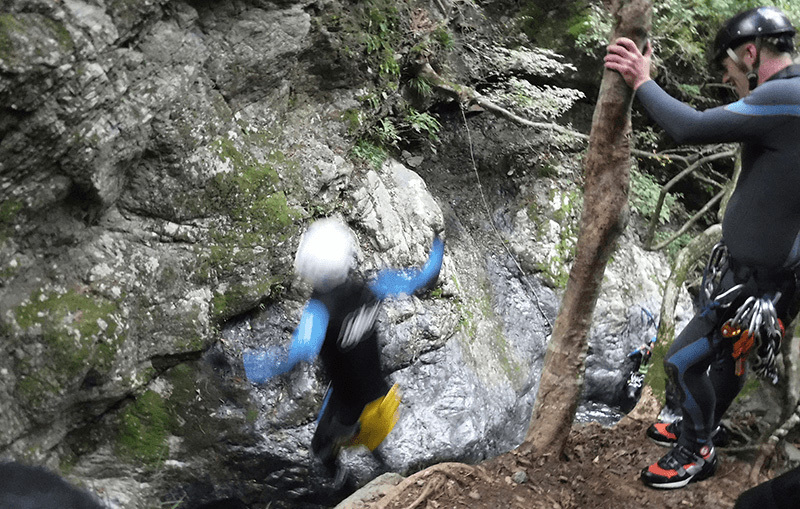 We had driven up quite a way from the Canyons base for our canyoning course, and once we made our way well down the mountain, hopped back in the van to an area where the Tama river ran wide and mostly smooth. 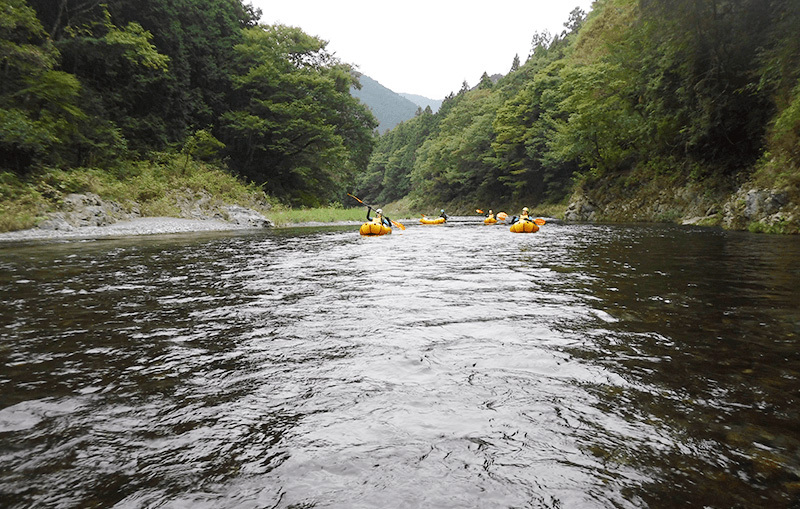 From there, we rode in inflatable one-man pack rafts down the river, paddling our way through a rough patch here and there, but mostly taking in the riverside scenery as we drifted back to our starting place. The day had started with an experience that was just as engaging – but far less strenuous. 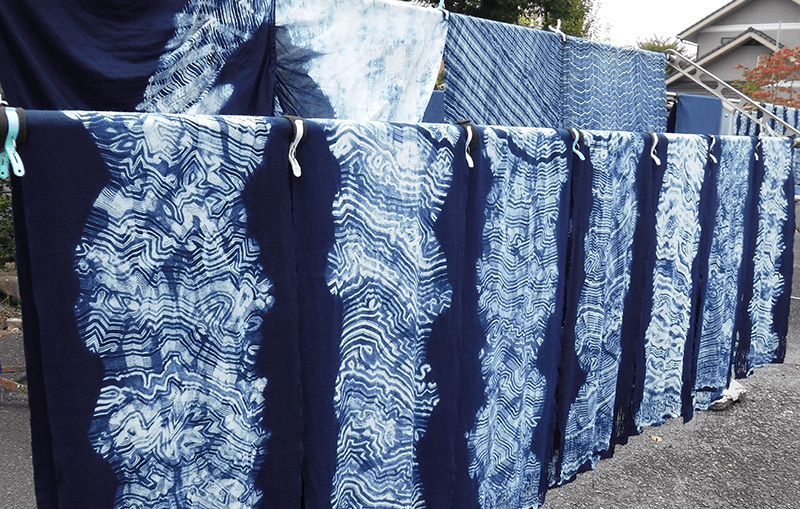 A short car ride from Ome Station on the JR Line is Kosoen, a studio that is dedicated to one of the Tama area’s best known traditional crafts: aizome, or indigo dyeing. 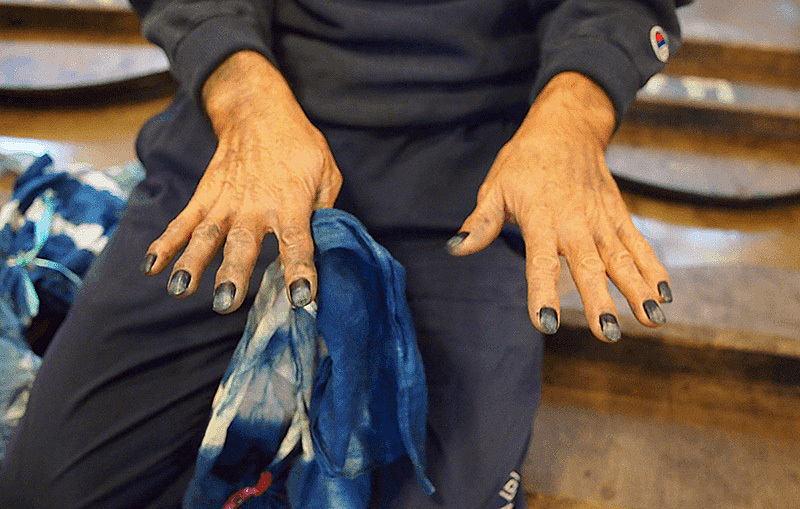 Japanese artisans have been dyeing fabrics with this dark blue hue for centuries, and Kosoen Studio is a location where you can see pieces made by modern masters, and try your hand at making pieces yourself. 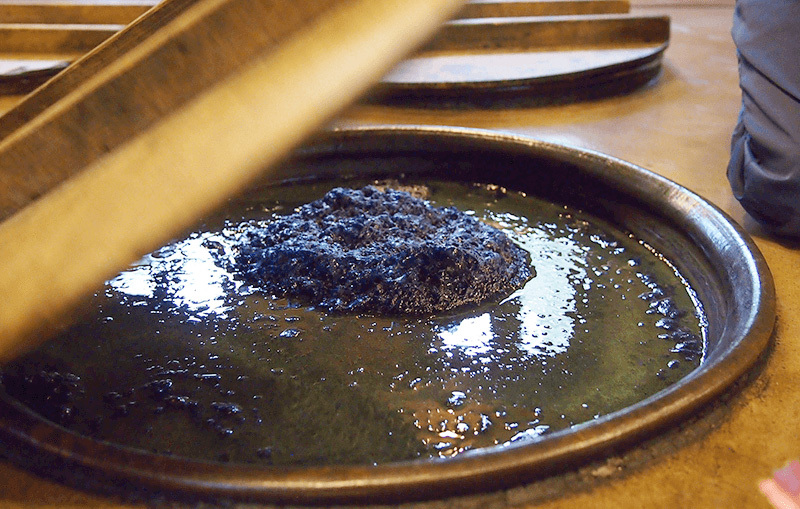 Walk into the studio and you are hit first by the pungent smell of the ammonia and other chemicals used to extract the color from the indigo plant. Vats on the floor hold the dye, which is brewed in a process not unlike miso, soy sauce or sake – the material sounds almost like a living thing. After learning a bit about the history of indigo dyed clothing from the Edo period into the present day, we were given the lightweight scarves that we would dye ourselves. Using rubber bands and lengths of plastic string, we tied off sections of the cloth to leaves areas of white to stand out against the indigo. 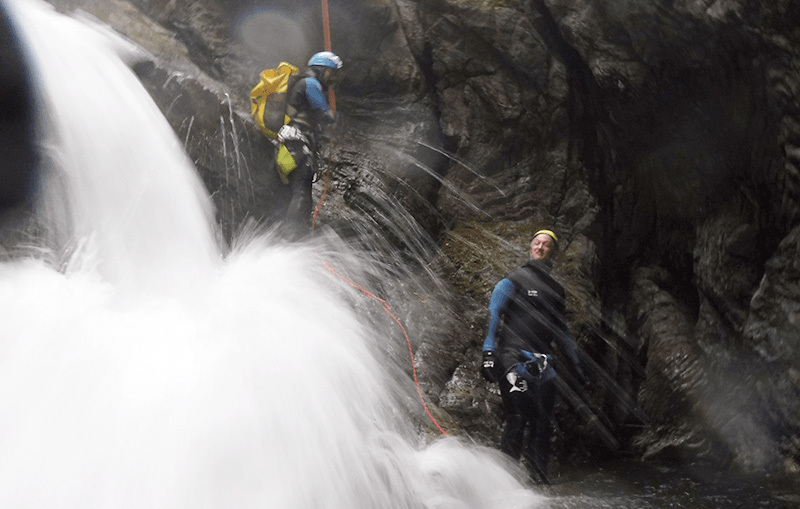 Without the experience of knowing exactly how things would turn out, preparing the ties felt a little intimidating – not unlike that feeling of standing in front of a steep drop into the deep pool of a river. 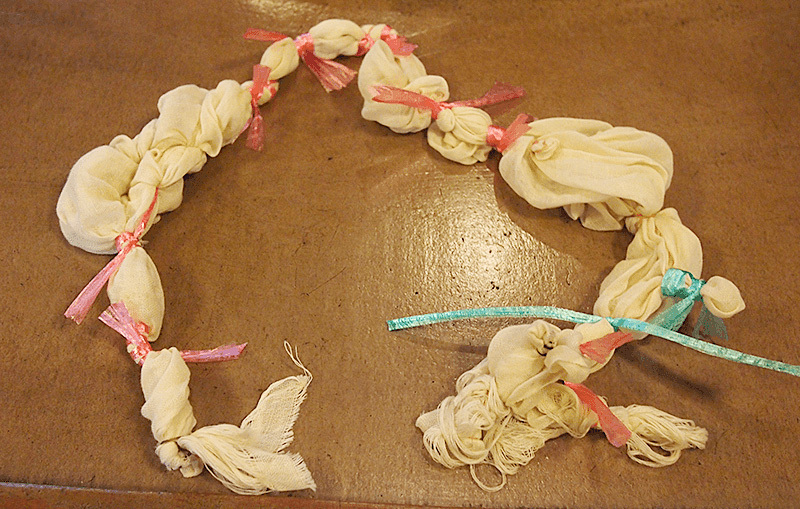 You want to come up with something that you’ll be happy to take home with you, but when you try to imagine the connection between the knots and patterns that you tie and the final product, it’s hard not to feel like you’re going to make a mistake. 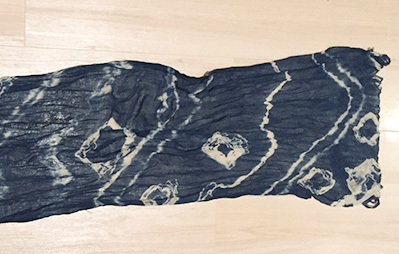 After spending several minutes soaking the thin scarf in the indigo dye, you will find out that the cloth is soaking colors. Then when you rinse the piece in water, colorful patterns gradually show up, and you realize just how easy it is to create something that you will be happy to take home with you. 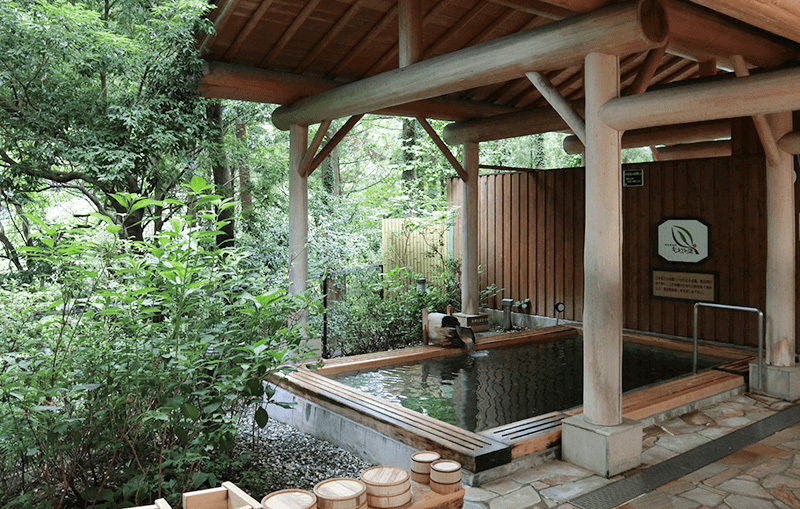 After the indigo dyeing and our adventure among the canyons, it was time to fight the early fall chill in the best way possible: a soak in an onsen at the Moegi no Yu onsen. 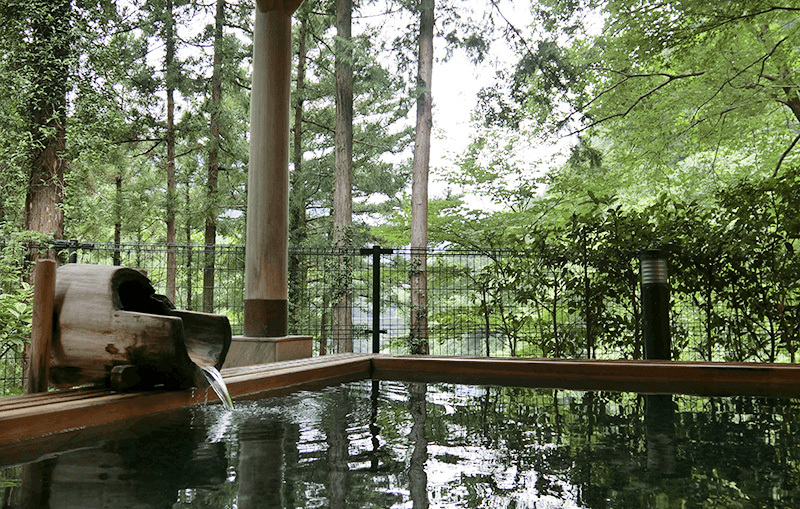 The alkali waters of this ancient hot spring are said to be fed by waters that come from deep within the earth, a subterranean hot spring that is one of the oldest in Japan. After a day of traditional crafting and canyoning, bathing in the steaming waters of the onsen was a perfect way to warm up and prepare for the train ride home. But before the trip back, there was one final stop. 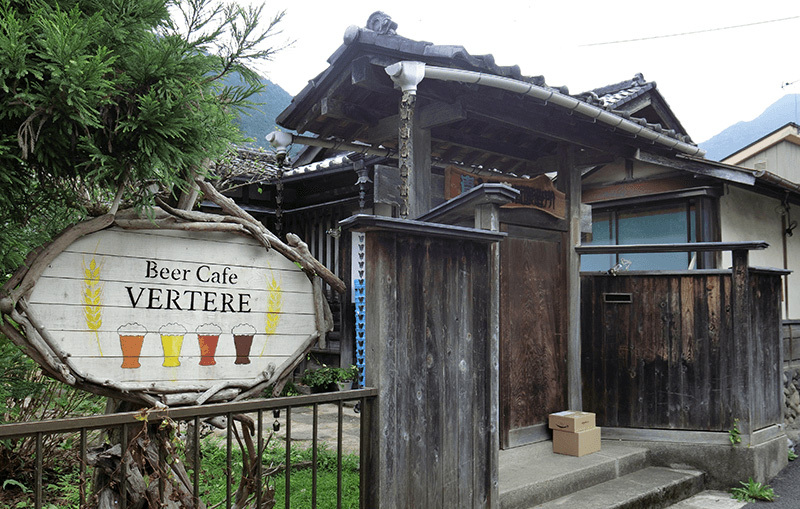 The Beer Cafe Vertere is just a few hundred meters away from Okutama Station, and is home to the best local craft brews in the Tama area. 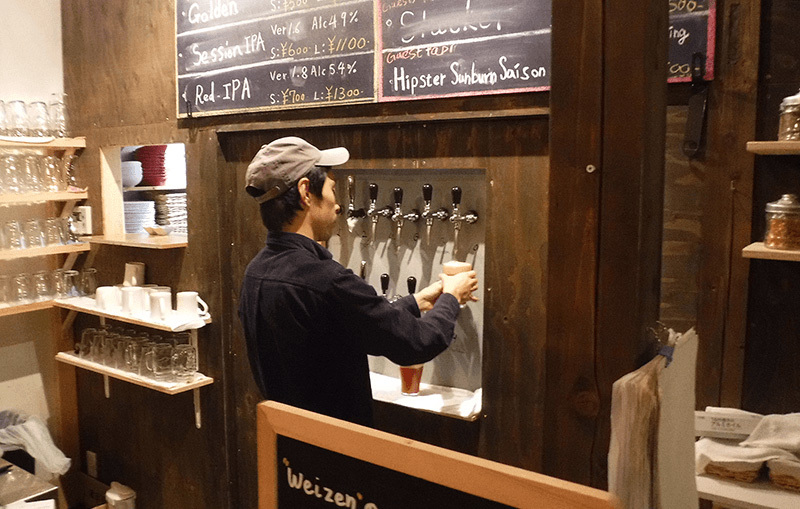 The cafe features several taps of their home-brewed beer and a rotating selection of guest taps from overseas, as well as an assortment of pub-style dishes – including some authentically English fish and chips. 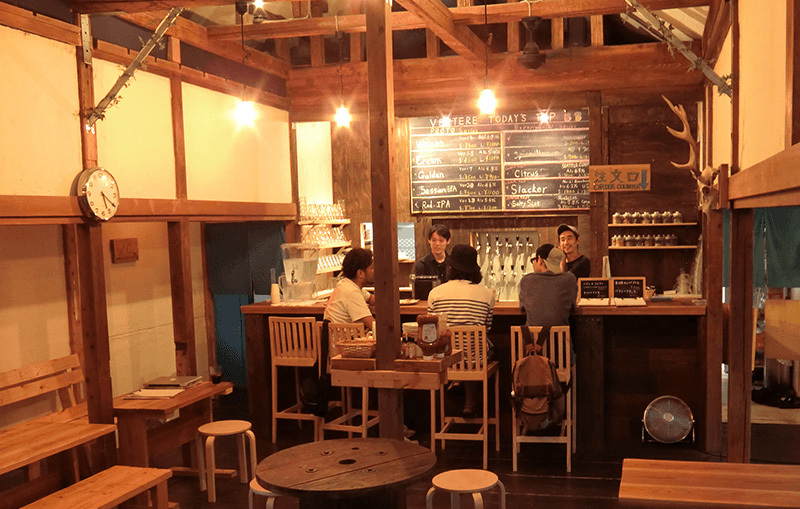 If the onsen had warmed us up outside, the hearty fare and the finely crafted beers warmed us up on the inside as we headed back home – from Tokyo to Tokyo.